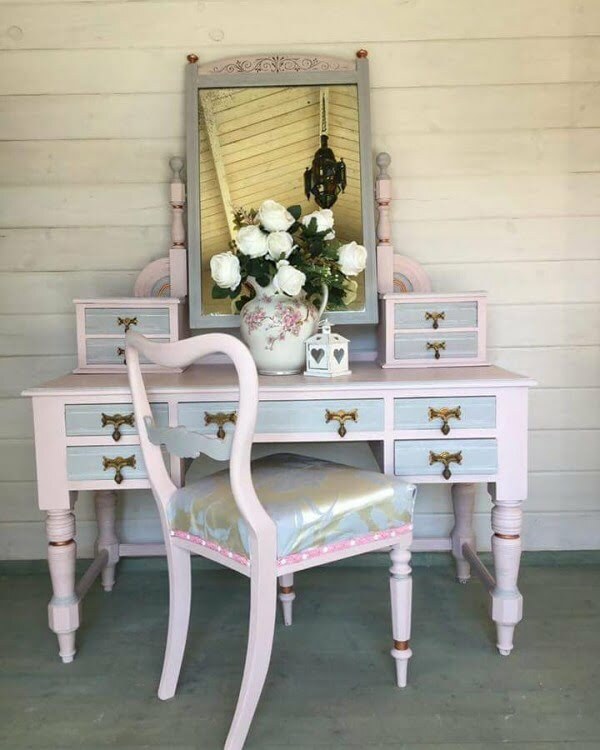 Looking for painted shabby chic furniture ideas or DIY projects? Here are 27 charming ideas and tutorials for your inspiration in this beautiful style. 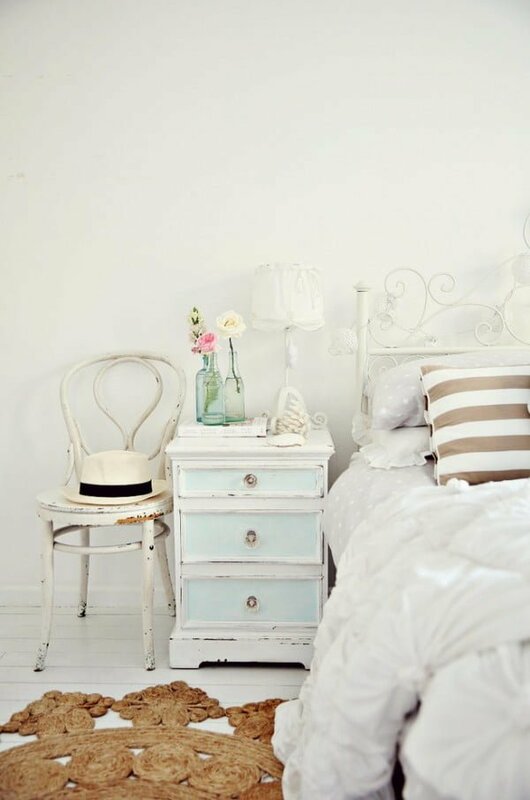 The shabby chic style is charming and full of character. It’s a great way to express your personality in your home decor. 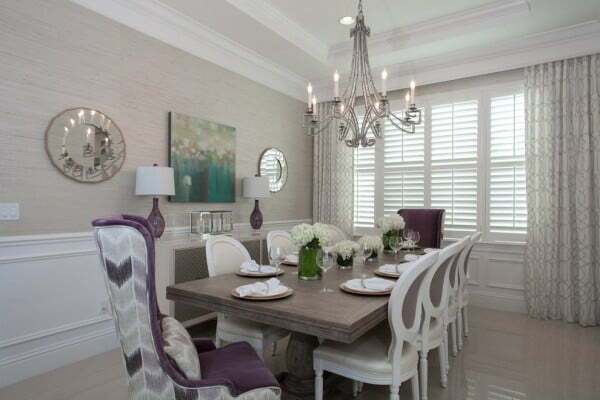 It’s also very feminine and fitting for any housewife striving to create a cozy home. 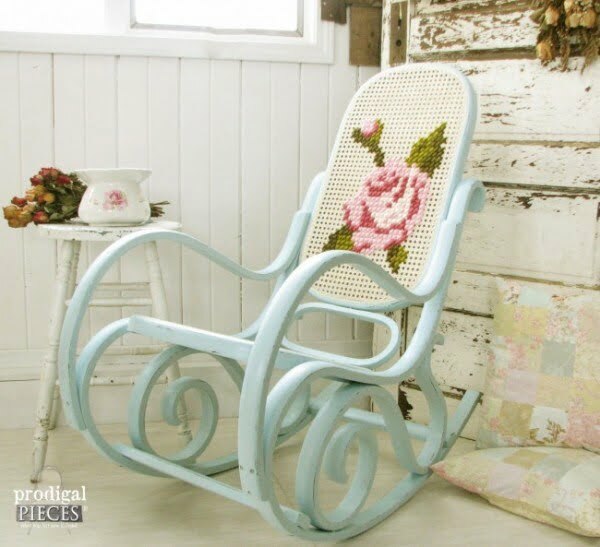 You can also spoil yourself with painted shabby chic pieces by adding them to your “me-space.” It will always make an ideal decor accent and a conversation starter. It’s also a style with a lot of room for creativity. Meaning, you can create it in many ways without following any strict rules. 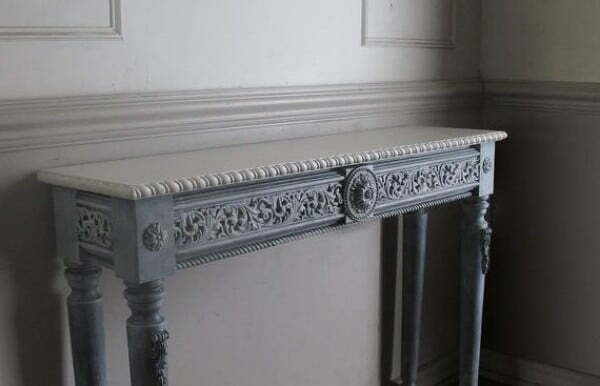 Shabby chic furniture can be made from an old piece by merely using a paint technique or a crafty DIY embellishment. Whatever the case, it’s never dull! 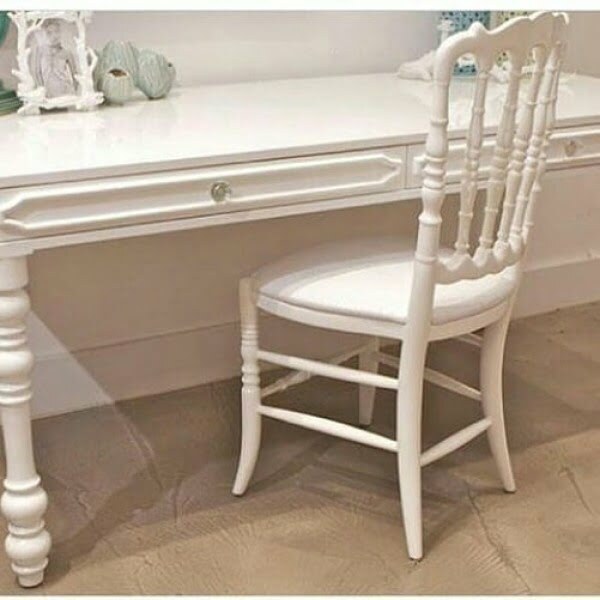 So here are 27 ideas (some of them with DIY tutorials) that will inspire you and help you get shabby chic furniture of your dreams. 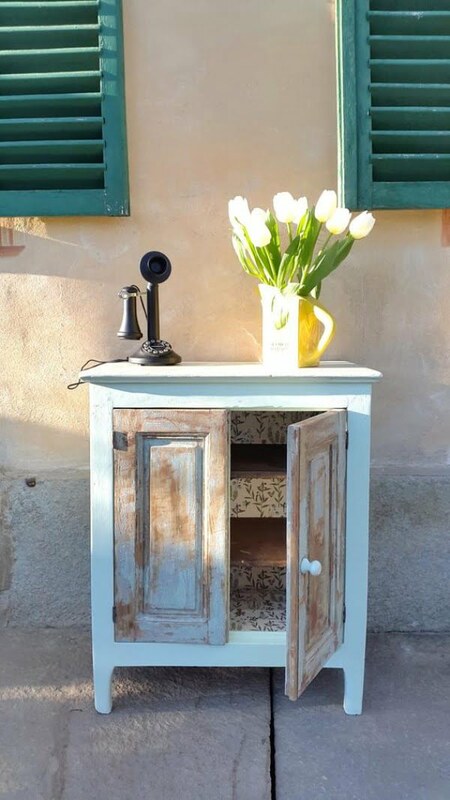 What else than a small vintage cupboard can make such a charming shabby chic furniture accent. If you’re looking to add just some subtle shabby chic style to your decor, consider a tiny piece of furniture like this. Antique furniture can give you all the shabby chic style you need in your home decor. It’s one of the staples of the style. All you have to do is find one on a flea market, a thrift store or Etsy. Here’s a charming vintage shabby chic furniture from the 70s. It was a decor accent then, and it is a conversation piece now. 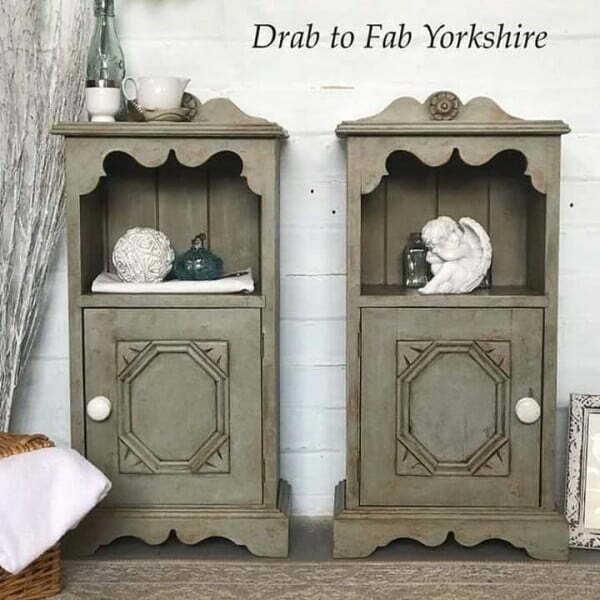 The stunning look of this little dresser is an excellent basis for all your shabby chic decor needs. Here’s how furniture goes from drab to fab. 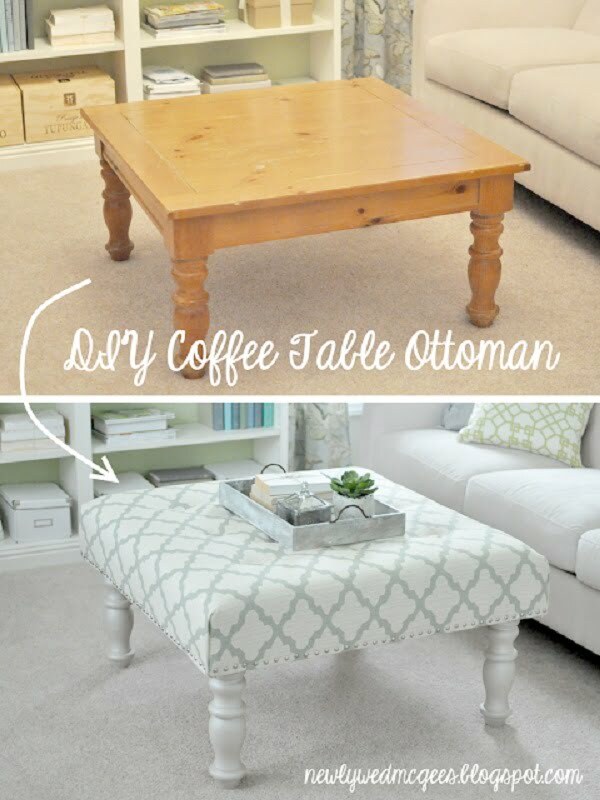 This DIY ottoman makeover turns a dull old piece into a shabby chic accent piece. And the best part is that this idea comes with a tutorial. 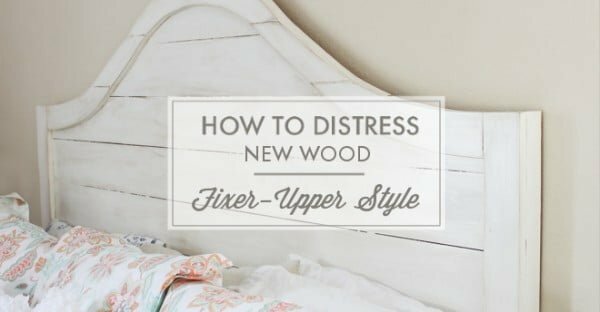 When a piece of furniture is not shabby chic enough, you have to get crafty. 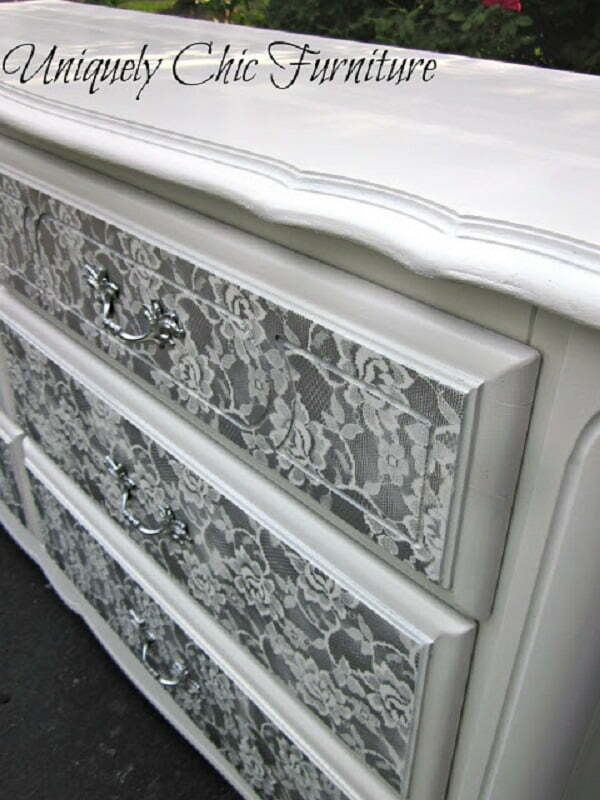 Here’s an idea of how you can add more style to an old dresser with lace. The look is brilliant, and you wouldn’t believe how easy it is to achieve. 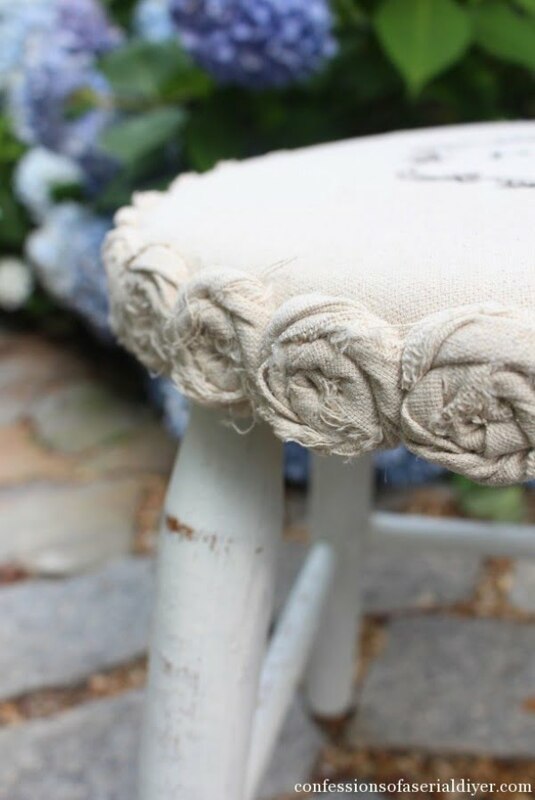 Turn a plain stool into a fashionable seat. 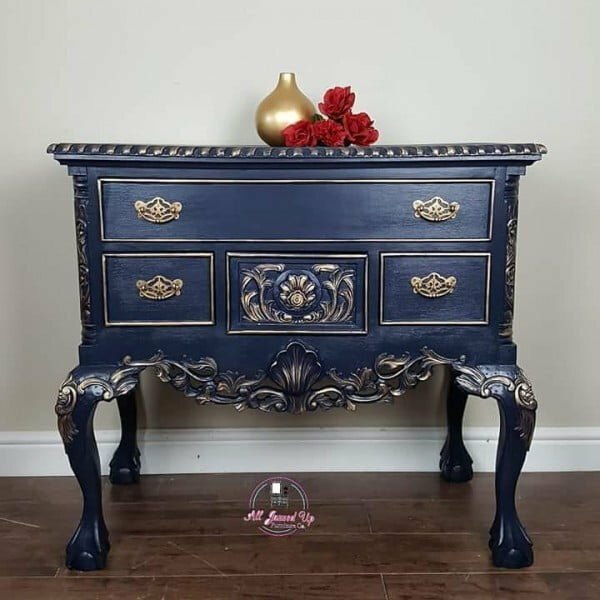 For this makeover, the top was covered with printed fabric while the sides were adorned with rosettes and the legs got a distressed paint finish. Breathe new life into old furniture by painting them with matching colors. 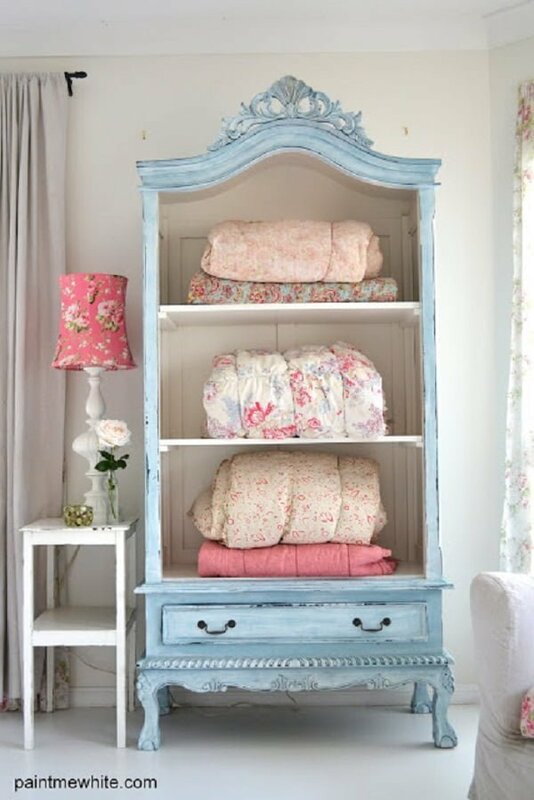 This dresser looks beautiful with coats of pale pink and light gray that blends well with the reupholstered chair. 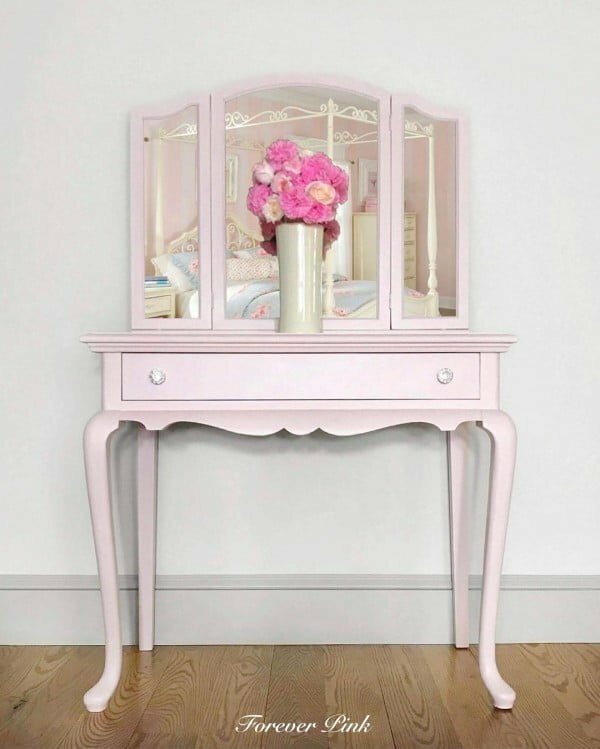 The pale pink finish suits this vintage vanity well. It accentuates the grace of the gentle curves from top to bottom — perfect for anyone who embraces traditional feminine styles. This French antique piece looks striking with the dark paint with gold highlights. The contrast makes the ornate carvings shine. The drawer handles and edges were also painted gold for dramatic effect. Old pieces can still be salvaged with the little effort. After a bit of sanding and a coat of teal paint, this one is ready for use again. It already has interesting details but adding a few accessories won’t hurt. These twin drab-to-fab bedsides look like they just came out of a French countryside cottage. 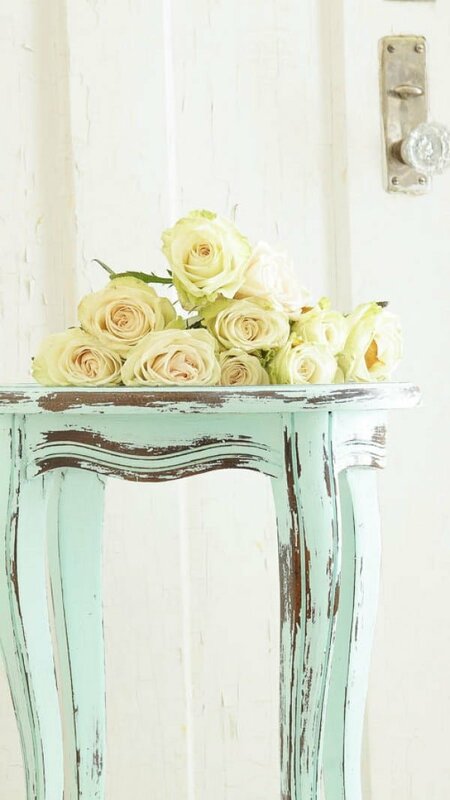 Distressed paint, choice décor, and down-to-earth aesthetics make these classic examples of shabby chic furniture. The desk and chair combination works well thanks to a similar design language. Using the same hue elevates them into the perfect pair while also hiding blemishes on the surface. Classic bedroom design with light blue walls and a white ceiling. This color palette is echoed in the bed, the sofa, and the shelves. It all makes the room appear bright and spacious. This bed is all about the details from the curves of the headboard to the patterns on the bedding. Even the chair and the accent pillow are heavy on texture. The formal dining room has an understated elegance anchored on the massive wooden table with thick central legs. 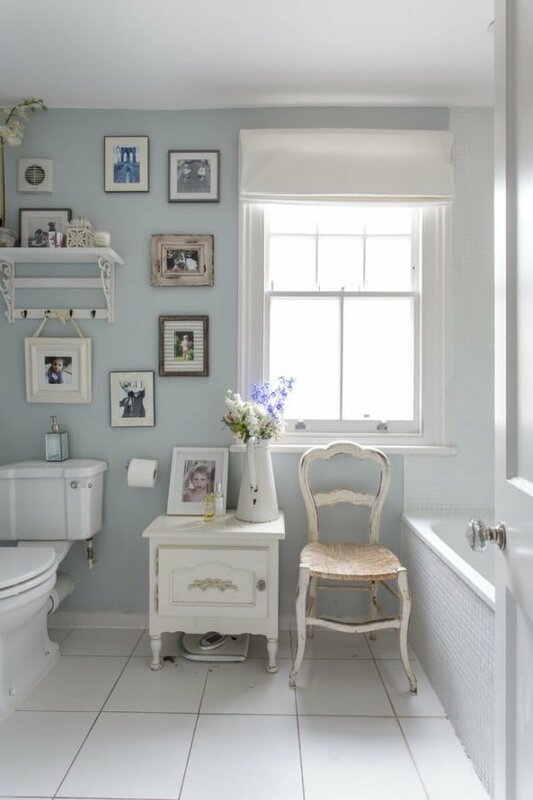 Its rough shabby chic finish provides the perfect contrast to the otherwise luxurious interiors. 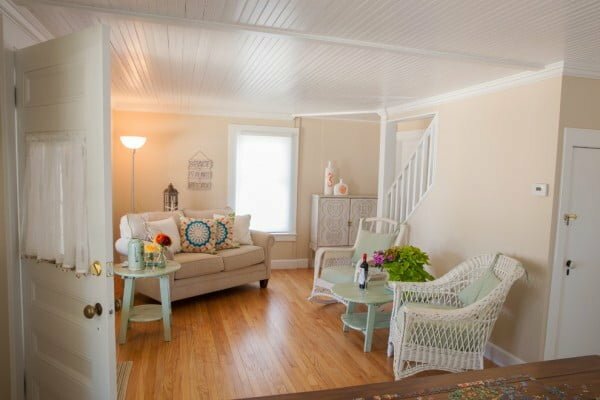 This mid-sized beach cottage looks like the perfect spot for a quiet vacation. The traditional sofa provides ample cushion and eye-catching accent pillows. The two rattan chairs go well with the little coffee table between them. A Victorian house through the room with farmhouse furnishings. The antique chair provides mothers and carers with a resting spot while they watch over their ward. There are a small storage unit and a handy shelf. Kid’s bedrooms are supposed to be fun, and that’s exactly what this design provides. 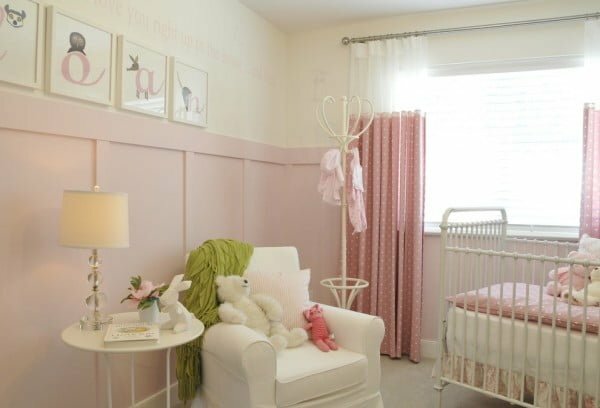 There is nothing fancy — just splashes of pink on the wall, the curtain, and the pillows. A coat hanger serves as temporary storage of infant clothes. 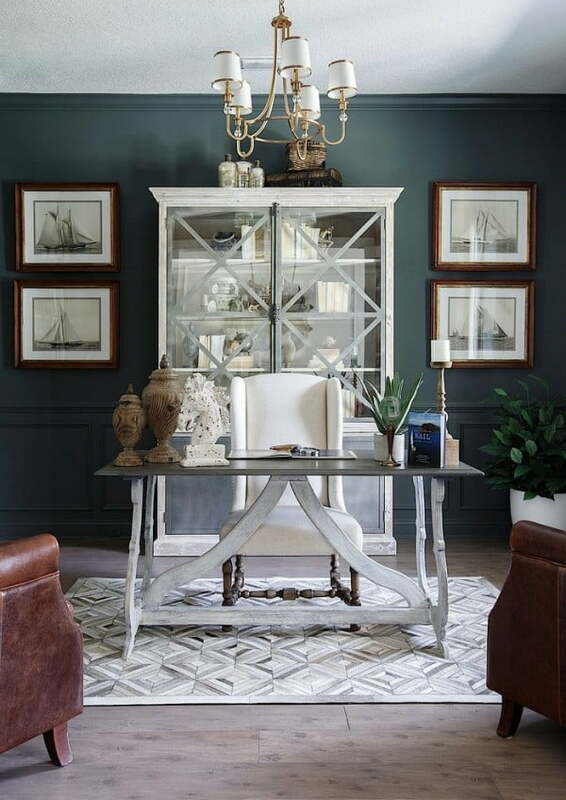 Every home office needs a large desk to accommodate necessary equipment and supplies. This one certainly has adequate room on the surface, along with a stable frame. Here is a cozy beach cottage bedroom with layered drawers and wooden chair. The light base colors blend well with the wall and the floor while the surface imperfections give them character. 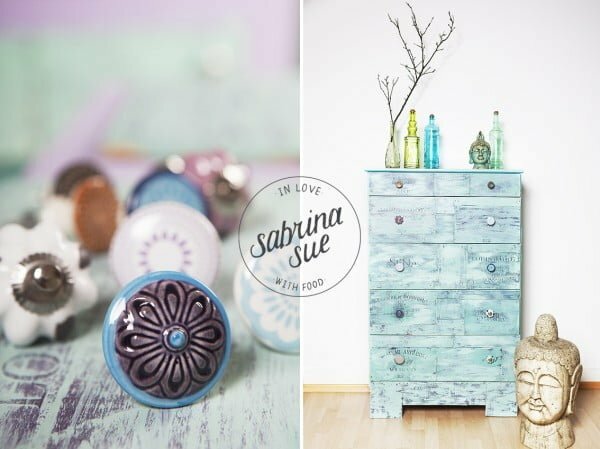 Here is a neat little shabby chic furniture project where you use sections of wooden wine cases to turn a brand new dresser into a fabulous distressed-look item that you can age and color to the exact degree that you may require. My, how things are looking down. 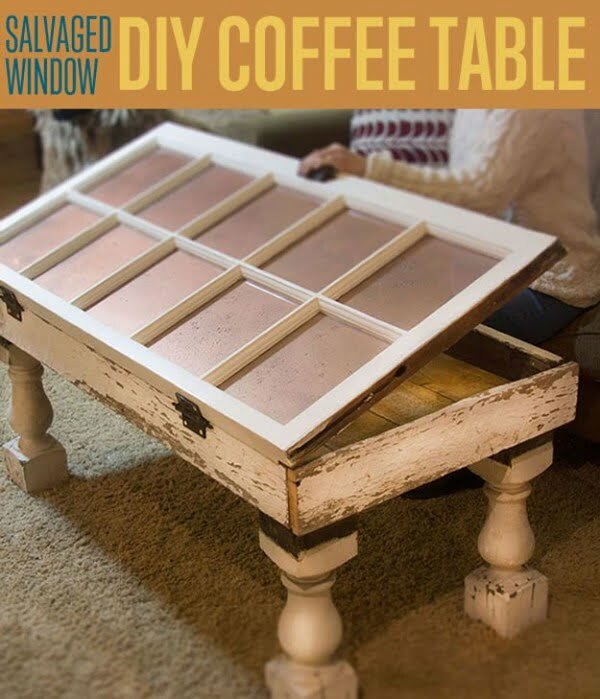 At least that’s what you’ll be thinking as you build this ingenious coffee table out of an old window, complete with hidden storage underneath the pane. 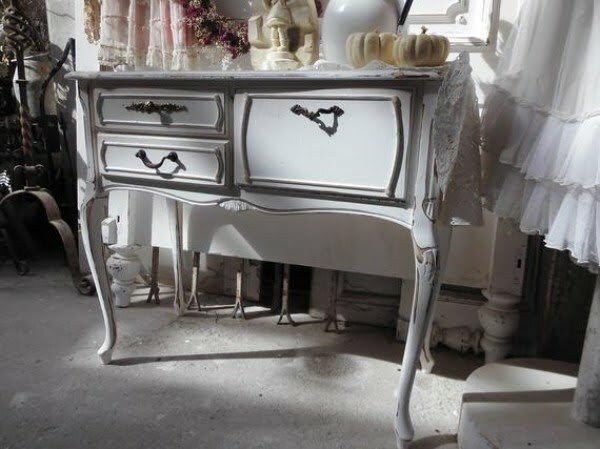 One of the hardest parts about shabby chic lies in creating it if you cannot find something pre-shabbied. This smart idea of using chalk-based paint and vinegar to make things look distressed is a real keeper. This lovely distressed farmhouse headboard is only half the story. You also get clear, concise directions on how to distress just about anything that has paint on it. This is one of those “Now why didn’t I think of that” kind of projects. But now that you have thought of it, you’re going to want one for yourself. 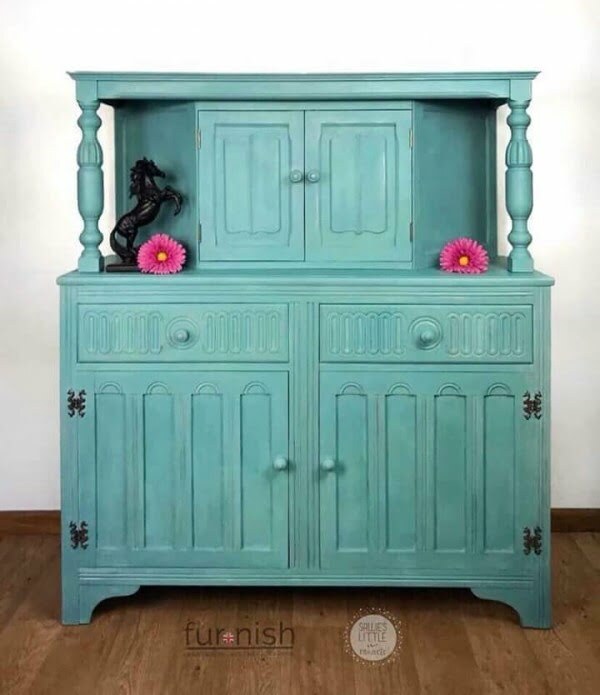 The fantastic thing about shabby chic is that you can make something such as this armoire look so much better by making it look so much worse than it was before. 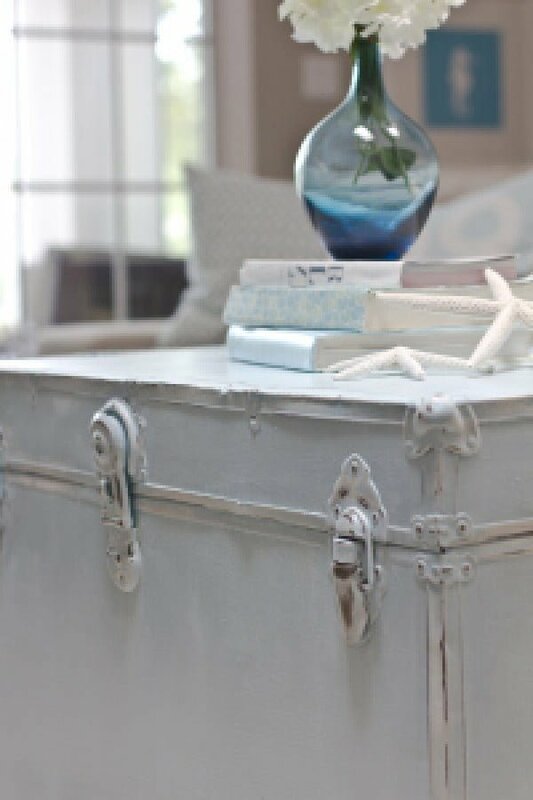 There is something so romantic and adventurous about using a steamer trunk as furniture. The places it must have been and the stories it could tell.